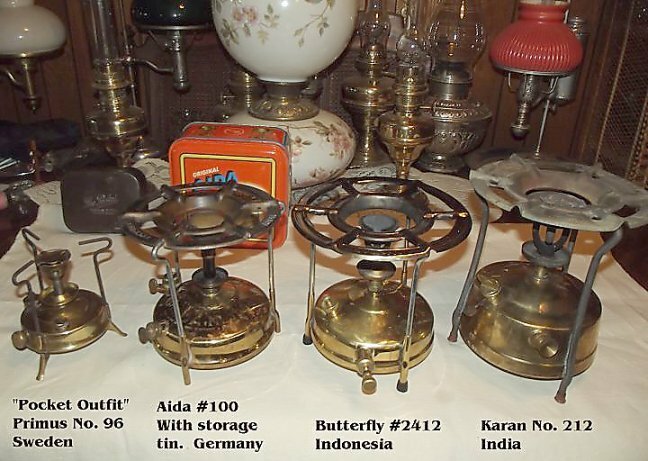 The Butterfly #2412 Brass Pressure stove is made from solid brass. 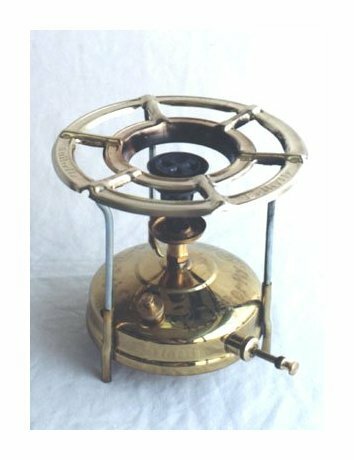 Included with the brass stove are 3 removable stove supports, 3 pick tools for cleaning, a wrench to disassemble the burner, and a brass cap that seals the tank when the burner assembly is removed. It holds .9 litres of fuel. 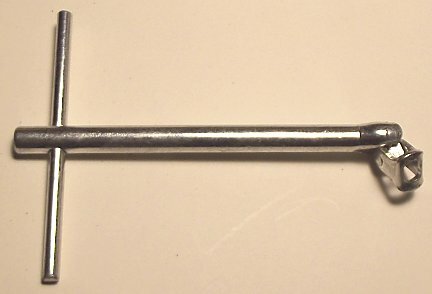 Height is 21cm (8.25 inches), width 20cm (7.9 inches), weight 1.25kg (2 lbs 12 oz), heat output maximum of 9000 btuh. It will burn over 3 hours on a tank of fuel.